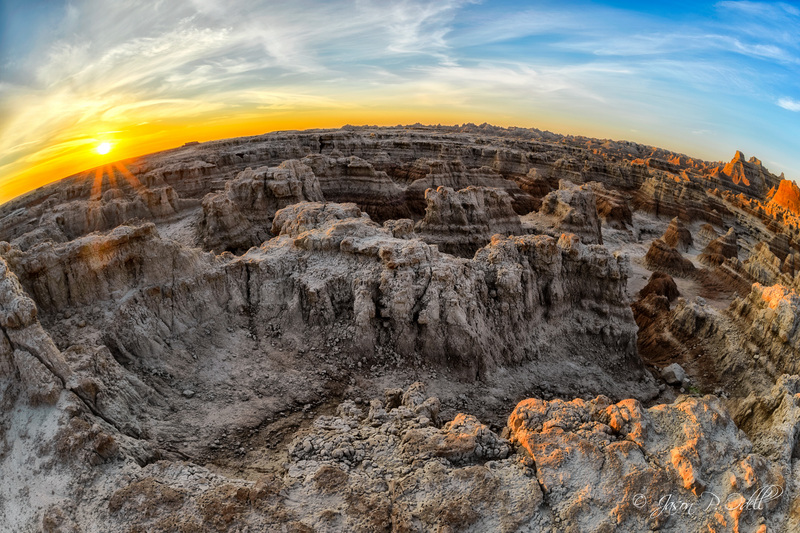 Conata Basin, Badlands National Park, South Dakota, USA. I captured this image using a Fujifilm X-E1 mirrorless camera that was converted to capture infrared (590nm conversion from Life Pixel Infrared). I liked the combination of textures in the rocks and the deep black sky. 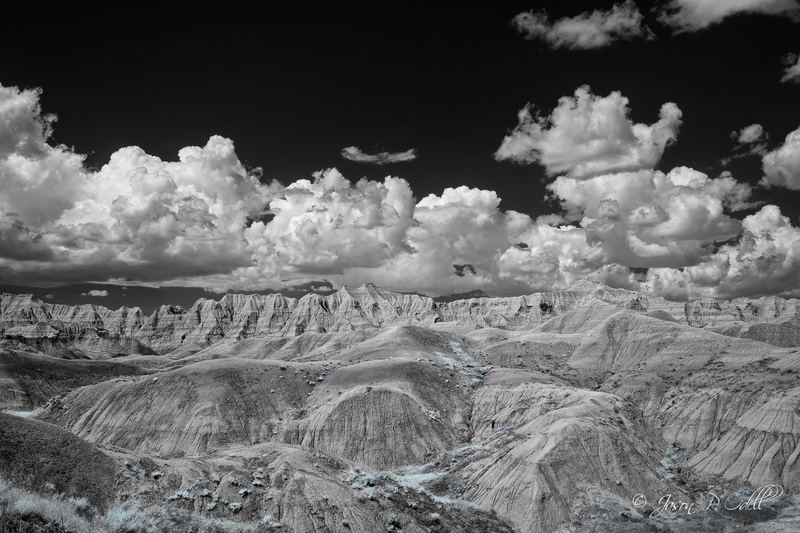 I decided to leave the blue tint in the vegetation instead of completely converting the image to monochrome. Had I done that, the vegetation would have disappeared. 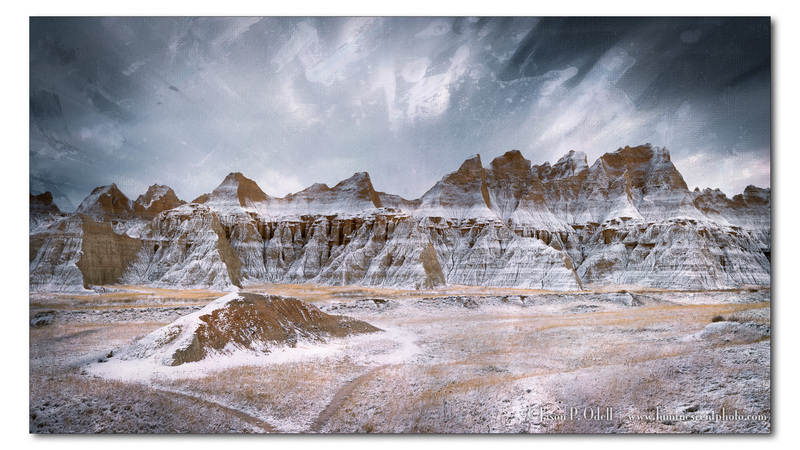 Processing infrared images isn’t hard if you have the right tools and know how to use them. 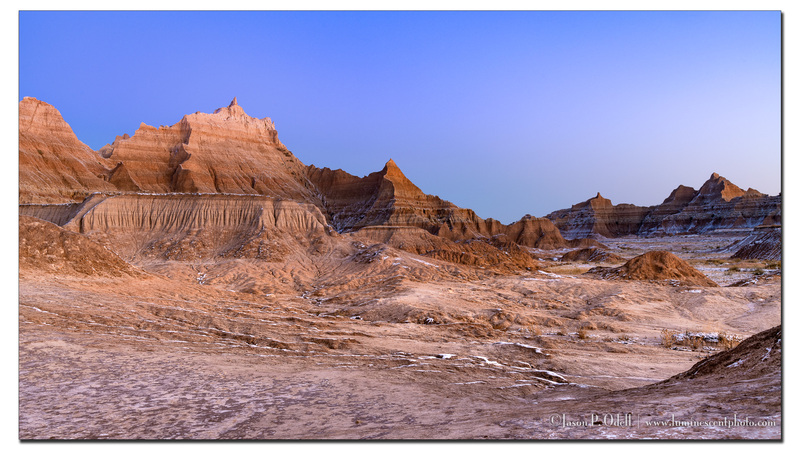 Download my video tutorial on infrared processing with Lightroom and Photoshop. 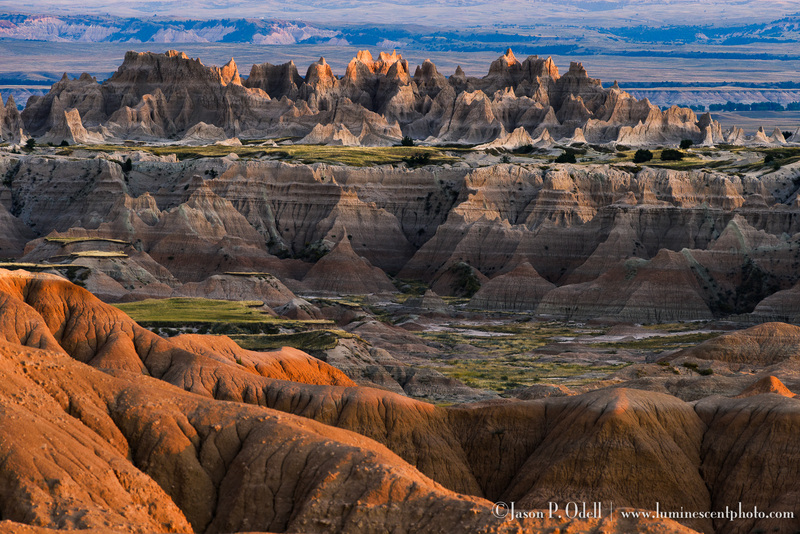 Join me in the Badlands September 11-16 2016 for a creative landscape photo safari!